Brothers Phil, Peter, & Paul Caffrey have been singing together for most of their lives. Whether at family parties or in the front garden to impress their neighbours in the Holy Cross area of Wallsend, they needed no excuse to sing. Their professional singing career began when they secured a recording contract with DJM records, the home of Elton John. Their band, ‘Arbre’, was hailed as Britain’s answer to the Eagles, but after making two critically well received albums and touring with Fairport Convention and Jim Capaldi – amongst others – they went their separate ways. The brothers then recorded for Phonogram records with noted producer Gus Dudgeon (David Bowie, Chris Rea, Lindisfarne, Elkie Brooks) but commercial success still eluded the Caffreys. Phil Caffrey continued to write songs and it wasn’t long before he formed a new band to perform his material. Whilst ‘Caffrey’ gained a good local following for their melodic rock – headlining at Newcastle’s Mayfair Ballroom – it was Phil’s songwriting that gained the attention of major music publishers. This resulted in Kiki Dee recording a song he had co-written with another respected local musician – George Lamb. After the demise of Caffrey, Phil kept his hand in by providing backing vocals for such diverse talents as heavy rock band Saxon and local hero Jimmy Nail, whilst continuing to write. In the early nineties he formed ‘The Lion’s Share’ with his two brothers but again widespread acclaim eluded them. In 1999 the brothers decided to form one more band together. Booking into Newcastle’s Cluny Studios with the cream of local musicians, they began to record and simultaneously return to playing live gigs. Buoyed by the critical and public acclaim afforded to their live shows (standing room only being the order of the day) they released their debut (‘The Caffrey Brothers’) nationally in 2000, following growing demand. Now performing regularly, they supported Lindisfarne at Bents Park, South Shields to an audience of 14,000. Meanwhile, the band’s profile continued to rise across the UK, playing festivals and venues beyond their native North East. The band played two sell-out gigs at Newcastle’s Live Theatre in 2002 to promote their second CD, ‘Face on My T-Shirt’, beginning a tradition of sell-out shows at the venue that continues to this day. 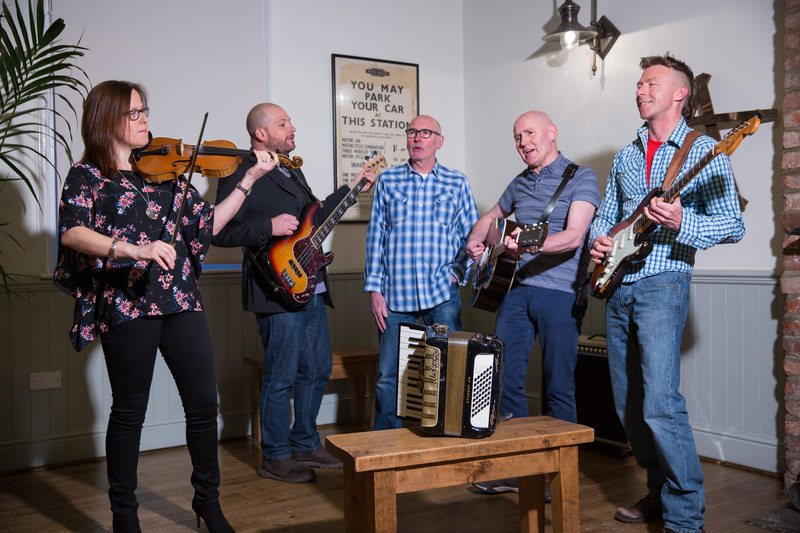 But with the remaining members – Phil, Peter, Michael Bailey, David Moore and Rachael Bailey – so firmly established and enjoying playing music with each other, the future of the band was never in doubt.